Three more open air concerts in the Netherlands? No, of course not! 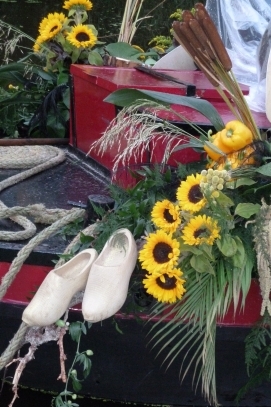 This is the yearly sailing flower parade in the Westland community. “Westland” is a horticultural area, south of The Hague in the Netherlands. 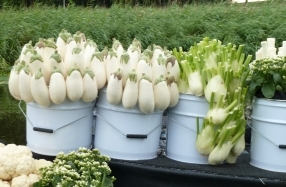 The villages and the growers in the Westland area developed the tradition of a yearly sailing show to promote their products: flowers, plants, fruits and vegetables. 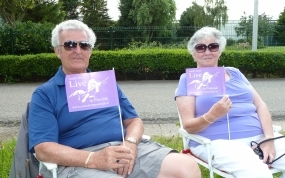 The Westland parade was sailing in 2012 for the 15th year in a row, on a Friday, Saturday and Sunday, over a distance of 80 kilometres through several parts of the area. To watch every boat from number 1 to boat number 60, you need at least 1,5 hours. 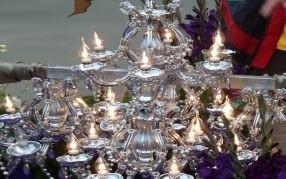 This year’s Theme: “Extremely beautiful”, which was expressed into music, dance, fairy tales, food, fashion and more. 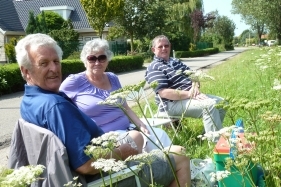 Together with our American friends John and Bobbie de Jong, we spent an enjoyable sunny afternoon at the water side. Of course: the two André Rieu boats had our special attention. 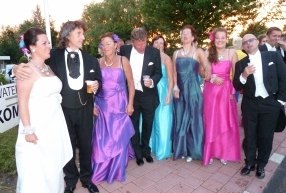 Wonderfully performed by members of the theatre group of the village of Poeldijk. Chandeliers, music stands, music, soloists, two body guards, a violin carrier guard, mega-enthusiasm and a glamorous André, it was all there! 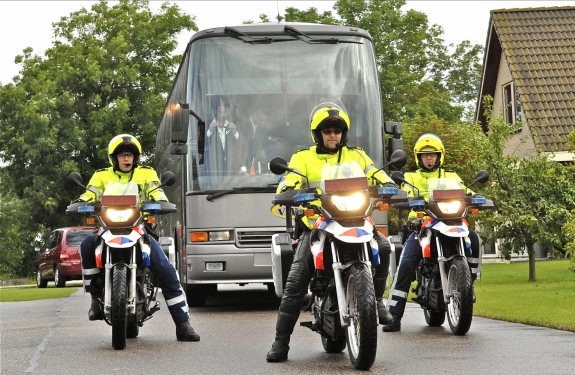 They even arrived at the departure place in a fake André Rieu Bus, escorted by the local police! Ha,ha, the police liked to be part of the play! It was great fun. 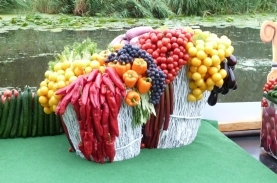 Click on the video below to see an impression of the 2012 sailing Westland flower/fruit/vegetable parade in the Netherlands. 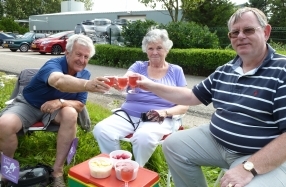 Very jolly JSO members, some drinking beer… A bus in the wrong color? On our website we posted a little riddle about the video recording below and we requested the fans to guess what it could be…. They wrote their guesses in our guest book: a wedding, a bachelor party, a JSO theme party, even an André Rieu fan club on a day out!! Most of the fans had no clue, but one French lady gave the right answer!! 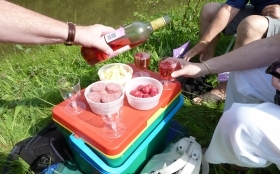 And what do we do along the water side on a sunny Saturday afternoon? 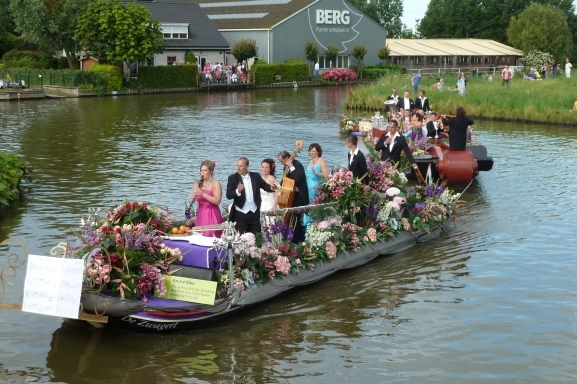 Having seen the video, I think that play in Westland parade of Flowery Boats. Greetings. Catherine”. Wow, we were surprised. Congratulations Catherine!! The only question is: How did you know in France about a Dutch local event????? 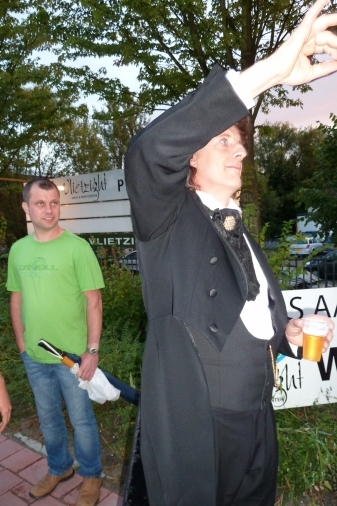 “Dear Ineke, When I saw the bus, I observed well and saw a macaroons representing André Rieu. With a lot of patience, I was able to decipher with difficulty and found on the Internet. 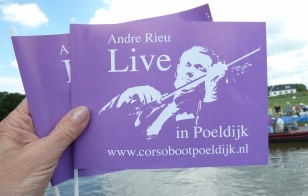 After some attempts I succeeded with www.corsobootpoeldijk.nl. Thank you for congratulations. I was not sure of the answer”.